Amazon Dominates Google in App Revenue: Thank Apple? Can Anyone Beat Apple at Its Own Game? Android fans love to criticize Apple's locked-down strategy when it comes to hardware, iTunes content, and the iOS platform. But a study from the mobile advertising firm Flurry suggests Apple is on to something. 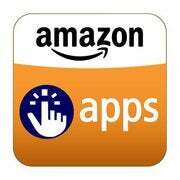 Users of Amazon Appstore, on average, spend three times the amount they're spending on Google Play. Why? That's something Amazon, Apple and its millions of iOS users know - it's all about convenience. Mobile advertising firm Flurry found that the Amazon Appstore generates 89 percent of the revenue for in-app purchases, while Google Play only earns 23 percent. That’s a significant difference. “Amazon's bet to fork Android in order to put consumers into their own shopping experience on Kindle Fire appears to be paying off,” argues Flurry’s Peter Farago. The Kindle Fire is a key part of Amazon’s success in convincing us to hand over our hard-earned cash. There are several reasons for this: first off, Fire users cannot easily download popular apps from anywhere other than the Amazon Appstore. Like iTunes, the Kindle Fire is tied to a single source for content. Apple uses this to great effect in its own mobile content strategy, and as a result has built a considerable business as the entire iOS ecosystem matures. The platform is on lock down, and all the revenue funnels back to Apple. The device becomes the storefront. It's genius. It also doesn't hurt that both Apple and Amazon have experience in retail. Apple runs one of the most successful brick-and-mortar retail chains in the world, while Amazon is the biggest online retailer. Google on the other hand does not have this experience. It is a search company at heart. The retail advantage also plays into why iTunes and the Amazon Appstore convert so many of us into paying customers: easy payment options. iTunes requires a payment method in order to download anything, and Amazon’s own one-click payment system ties into the Appstore. If you want an app, it’s "click" to buy and download: everything is already in place to make that purchase. The Android Market and now Google Play however do not require payment information for downloading free apps, which puts developers at a disadvantage when attempting to hawk in-app purchases. Developers have to worry whether or not users will take the time to enter the information, which it seems as if many are not from Flurry’s data. This may explain why there is such a huge discrepancy between revenues for Amazon’s Appstore and Google Play. In any case, Amazon’s emergence on the market is definitely a positive for developers looking to make money with Android. As a result, Google may find it necessary to reconsider its strategy around Google Play in order to keep developers happy. For more tech news and commentary, follow Ed on Twitter at @edoswald, on Facebook, or on Google+.